100% Lambswool from Norwegian white sheep. Hand dyed with acid dyes. 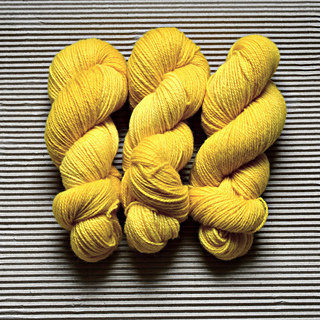 This is a soft, minimally processed wool yarn produced by Hillesvåg Ullvarefabrikk. The lambswool comes from Norwegian sheep. Norwegian sheep are mostly free ranging and graze the Norwegian landscape all summer before being sheared in the autumn. There are minimal issues with insects and norwegian sheep are never muelesed. Norwegian Wool has received the Nordic Swan Eco label. 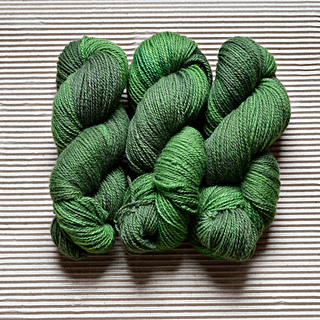 The yarn is washed and handdyed in the north of Norway by Nina. Dyed using low impact acid dyes, with great care taken to use as little water and dye as possible.